Copyright © Edward Antonysen - This image is copyrighted. Unauthorized reproduction prohibited. 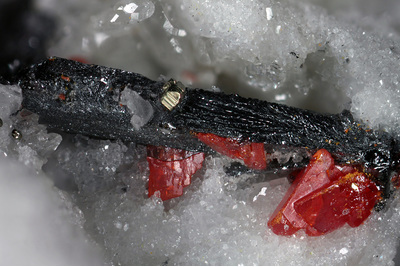 Black Enneasartorite with red Realgar and Pyrite. Analyzed by Dan Topa. There is also a Hatchite on this piece, but not visible on the image.